It’s another big year of anniversaries in the luxury world. While Omega marks 60 years of the Speedmaster and Patek Philippe, 40 years of the Aquanaut, Rolex celebrates the half-century mark for its extreme divers’ watch, the Oyster Perpetual Sea-Dweller, by launching an all-new model, with a larger case and modern caliber, at Baselworld 2017. The case of the new Sea-Dweller is 43 mm in diameter — 3 mm larger than its 40-mm predecessor. The scratch-resistant sapphire crystal over the deep black dial is equipped, for the first time on this model, with a Cyclops lens over the date window at 3 o’clock, enhancing its legibility. The text “Sea-Dweller” appears on the dial in red, echoing the look of the original 1967 model. 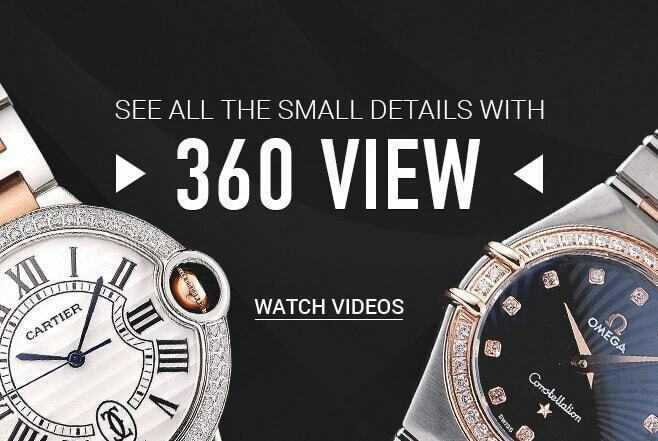 Finally, the watch is equipped with the new Rolex Caliber 3235, a self-winding movement boasting a number of innovative technical details, some of them patented. This represents the first time Rolex has employed this recently introduced, technically superior movement in one of its “Professional grade” timepiece. Like all new Rolex watches, this Sea-Dweller carries the Superlative Chronometer certification, instituted by Rolex in 2015, which ensures a high level of precision and timekeeping performance (-2/+2 seconds per day). The case, with Rolex’s iconic Oyster construction, has a middle piece crafted from a solid block of corrosion- resistant 904L steel; the fluted case back is hermetically screwed down with a special tool that allows only watchmakers to access the movement. The screw-down crown, protected by a crown guard integrated into the case middle, uses Rolex’s Triplock triple waterproofness system, which ensures secure waterproofness for the watch’s interior in the same manner as a submarine’s hatch. The new-generation movement secured inside this high-tech case is Caliber 3235, entirely developed and manufactured in-house by Rolex to achieve an elite level of precision, power reserves and shock resistance. It boasts 14 patents, including one for its Chronergy escapement, made from magnetic-resistant nickel phosphorus. The oscillator, which beats at a frequency of 28,800 vph, features a blue Parachrom hairspring (another Rolex patent), which Rolex says is up to 10 times more precise than a traditional hairspring when subjected to shocks. Calibre 3235’s so-called “Perpetual” rotor winds the mainspring in both directions, amassing a power reserve of approximately 70 hours thanks to the movement’s new barrel architecture and the Chronenergy escapement’s superior efficiency. The new Sea-Dweller’s solid-link Oyster bracelet, in 904L steel, is fitted with an Oysterlock safety clasp that prevents accidental opening. The bracelet also features a double-extension system that allows adjustments to be made without the use of tools, allowing the watch to be worn comfortably over a diving suit up to 7 mm thick. Rolex’s Fliplock extension link extends the bracelet by 26 mm, while its Glidelock system allows fine adjustment of the bracelet length in 2-mm increments, for a total of approximately 20 mm. The retail price of the Rolex Oyster Perpetual Sea-Dweller (Case ref. 12660, Bracelet ref. 97220) is $11,350. Scroll down to see live pictures taken at Baselworld 2017.